Cerezuela, Berta (2011): “Knowledge and the Barcelona Olympics: Preservation of and Access to the Memory of the Barcelona’92 Olympic Games through Documentary Sources”. Emilio Fernández Peña [et al. 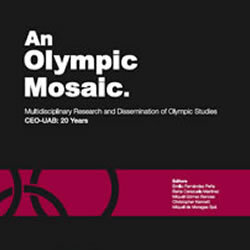 ]: An Olympic Mosaic: Multidisciplinary Research and Dissemination of Olympic Studies. CEO-UAB: 20 Years. Barcelona : Centre d’Estudis Olímpics, Universitat Autònoma de Barcelona; Ajuntament de Barcelona.